In a large bowl, beat together the eggs and water until smooth. Stir in tarragon, marjoram and parsley. Heat butter in a skillet over medium heat. Cook, stirring frequently, until eggs are desired consistency. 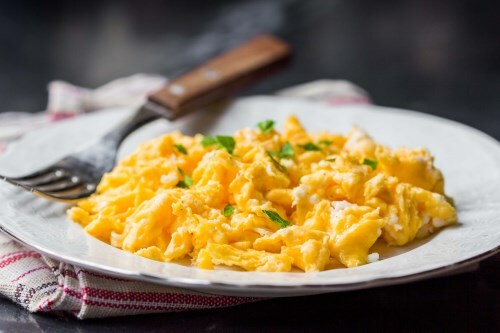 When eggs are nearly cooked, stir in cheese until melted.